While Chrysler is exiting the leasing business, some manufacturers are increasing their leasing promotions online. Well at least one manufacturer is increasing their leasing efforts using a pre-roll (commercial shown prior to video content on a website) on Wall Street Journal dot com. 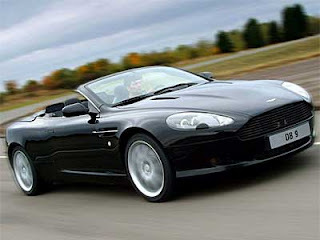 Aston Martin is promoting their DB9 Volante convertible model with a "surprisingly affordable lease offer." I tried that line on my wife this evening telling her it is a "surprisingly affordable" car now, but she didn't buy it. So, in an environment of credit consolidation, including today's announcement of HBSC pulling out of the US auto loan market, Aston Martin soldiers on with a $1,699/month lease rate on the DB9 soft top.